and dozing down abandoned buildings. It’s time for one more project. 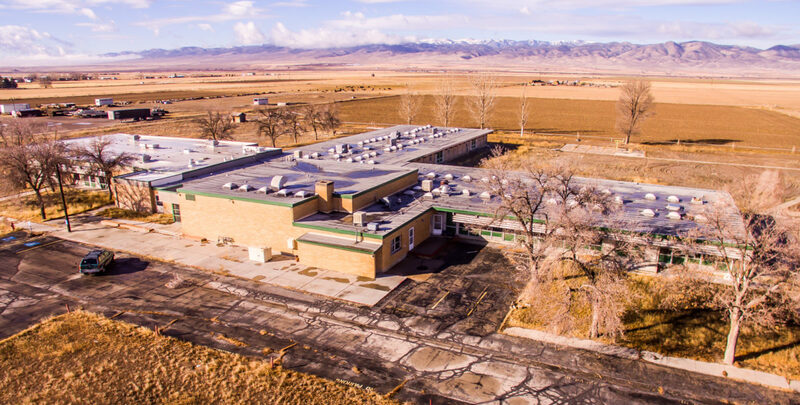 Gunnison City is really good at making the best of what it has, especially when it comes to beautifying the community.But there is an elephant in the room that needs to be addressed: Something needs to be done with the old Gunnison Valley Elementary School. This isn’t the first time Gunnison has had a community feature that needed a makeover or needed to be repurposed. When the Top Stop gas leak struck Gunnison in 2007, residents didn’t let toxic destruction from the spill scar their town permanently. They fought back in court and as part of the settlement received the land on which the Top Stop convenience store once sat. Then they transformed the site into a beautiful plaza, which is now home to the landmark clock tower, the colorful Legacy Wall art work and kiosks memorializing the Clarion settlement. Across the street, the historic Gunnison Casino Star Theatre continues to improve, thanks to the persistent efforts of the Casino Star Theatre Foundation led by Lori Nay and Diana Spencer. The theatre is as beautiful as ever and recently received another grant from Rocky Mountain Power, this one for renovation of the lighting system. And when a building on Main Street went vacant and became an eyesore, the Gunnison City Council and former Mayor Bruce Blackham arranged a win-win situation, under which the city purchased the property and paid the owner to tear the building down. 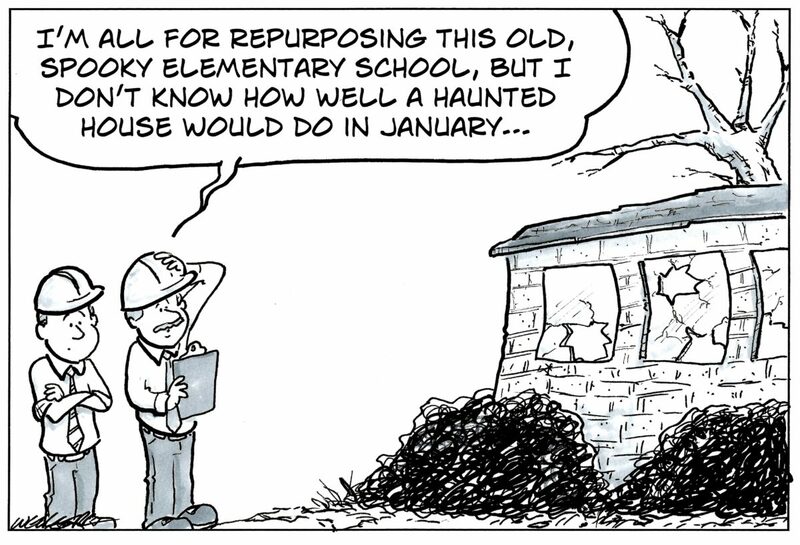 But the remnants of the old Gunnison Valley Elementary School still stand, if only barely. In 2016, two Gunnison Valley men pushed to repurpose the school as a community center and housing development, but the project never got off the ground. Not only were extensive repairs required for the roof and plumbing, but vandals and time had turned the school into a serious mess. Some would argue the broken glass and rusty metal is a public safety concern. Others could argue the building is an easy target for squatters or transients. We know acquiring, repairing and finding a new use for the building, or potentially demolishing it for new development, will be a lot of work. But ask yourselves this, Gunnison Valley residents: Would you rather drive by a rundown building every day with weeds throughout the parking lot or drive by a building being put to good use, or at least gone to make way for new development, like much needed housing?